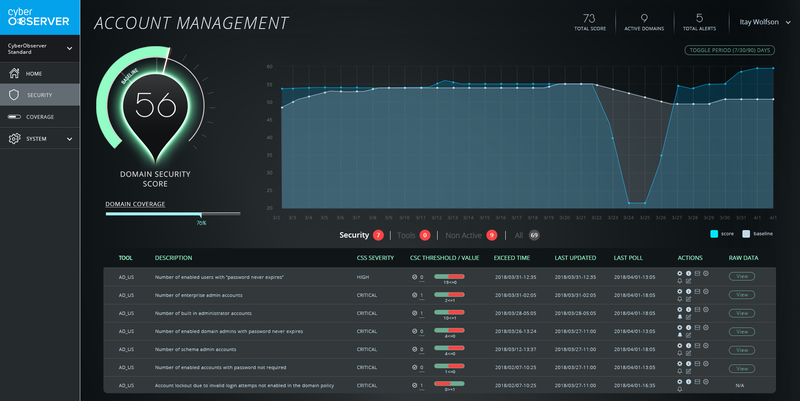 Cyber Observer was designed for CISOs and senior infosec and IT management layers, including SOC managers, risk officers, IT infrastructure and IT team managers to deliver end-to-end, near real time cyber security posture and awareness in a single pane of glass. 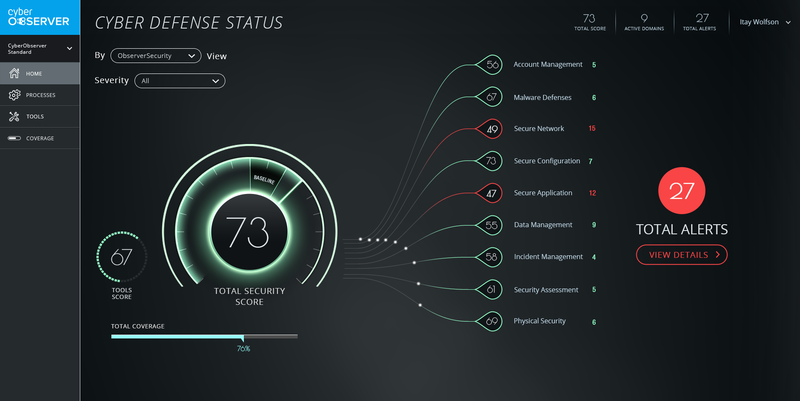 Like continuously living a healthy life according to the best health practices, Cyber Observer delivers the best indicators to ensuring your enterprise line of defense is up and running. Like a regular health-check to catch the early onset of illness, Cyber Observer continuously performs cyber health checks based on industry best practice to discover security events early, exposing gaps and deliver proactive recommendations to improve your security status. And in most cases the human brain can let you know that something is wrong – just like the Cyber Observer analytics engine, which continuously calculate the online measurements that represent normal behavior – then alerting in cases of deviation. To See, to Improve, to know if something is wrong, to Act, to verify that all relevant stakeholders are on the same page. 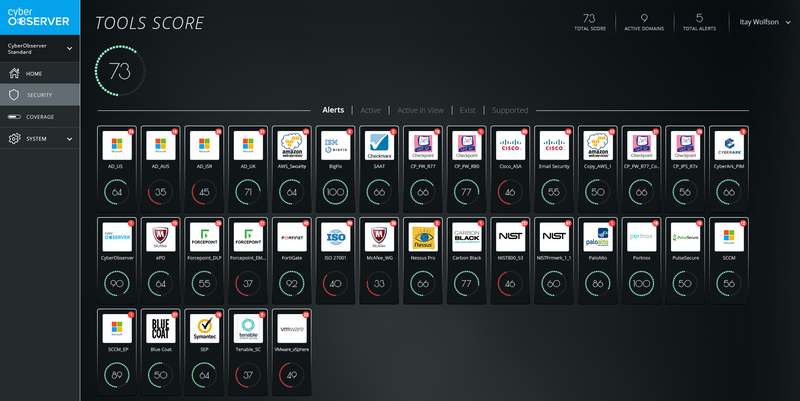 Cyber Observer provides maximum visibility across your IT ecosystem by connecting to your entire suite of security, and related, tools. Cyber Observer delivers the best indicators as to the types of cybersecurity tools that are misconfigured, malfunctioning, or lacking and need to be purchased to provide complete cybersecurity protection. 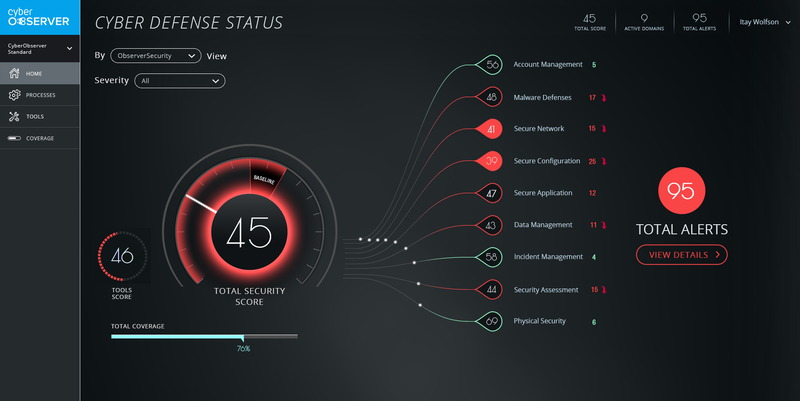 Cyber Observer reveals the security gaps that exist in each security domain and delivers continuous proactive recommendations which need to be closed. This, in turn, delivers significant improvements to the security status. Use our out of the box views or create your own unlimited views: role based, security based, IT services based, OT service based, audit based etc. 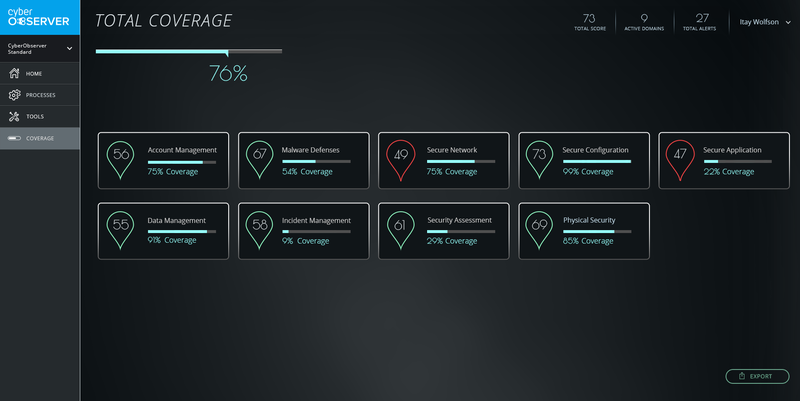 Our nine out-of-the-box security domains are further broken down into protection groups, so that you’ll always be able to see the areas of security with the highest levels of coverage, areas of overlap – and where the gaps are that should be part of your next budget request to the board. The Cyber Observer analytics engine continuously calculates measurements in near real-time that represent normal behavior, it then alerts in cases of deviation from normal behavior.